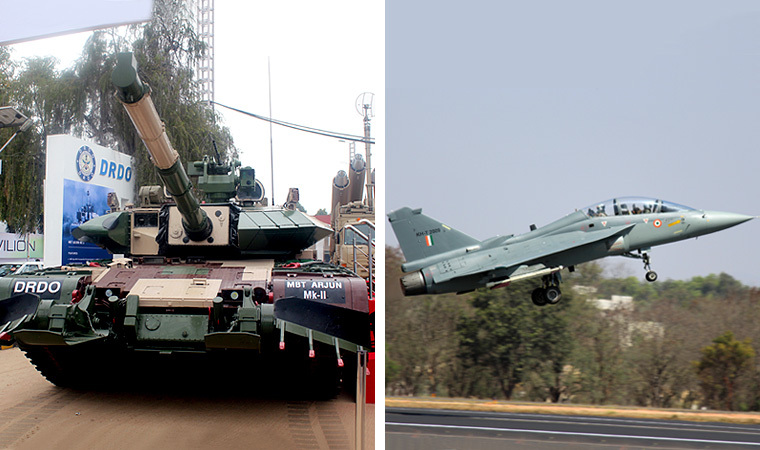 The media is agog with the news that the Armed Forces have said no to the indigenous Tejas fighter and the Arjun Tank. This is misinformation campaign aimed at maligning the Armed Forces once more; picture painting military as the villain that hates indigenization. The news cites the request for information (RFI) issued recently for global original equipment manufacturers (OEMs) for an initial 1,770 future ready combat vehicles (FRCVs) geared for rapid dominance in an expanded battle space. 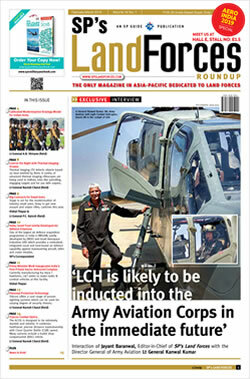 It goes on to say that the IAF also is to shortly issue an RFP for 114 single-engine fighters; concluding that the Armed Forces have debunked the proposed advanced versions of the indigenous Tejas LCA and Arjun MBT, strongly pitching for mega acquisitions of foreign single-engine fighters and FRCVs through the 'Make in India' route under the strategic partnership (SP) policy. There is also a parallel campaign going on about deliberate vilification of the Tejas LCA - purportedly by the IAF, which obviously is being orchestrated by HAL-DRDO. If that were the case, AOC-in-C Southern Air Command would not have flown solo in the Tejas LCA on 14 November, 2017. The public at large needs to understand a few things here. First, any decisions with regard to defence procurements are not the exclusive forte of the Armed Forces, much that it so portrayed. When the MoD can force the 7th Pay Commission down the throat of the military without rectifying the anomalies despite objections by the three Service Chiefs, do you really think decisions about fighter aircraft and tanks is left to the Armed Forces? A powerful MoD where a petty bureaucrat can sit on a file for 18 months to sanction replacement batteries for submarine available in India, causing the submarine to sink and indirectly ‘murdering’ number of naval officers and sailors without qualms, it should be clear where the finger should point. Second, the numerous defence scams have the involvement of the PMO-NSA-MoD who orchestrate all defence procurements. Why else would General VK Singh, now MoS (External Affairs), write in his autography that the ‘pipeline’ goes right up to the PMO? Why else would Sree Iyer pen in his recent article on November 6 that the AugustaWestland probe has been deliberately “diluted”, making it only IAF officers accused centric? Why is it that despite scores and scores of defence scams, no politician or bureaucrat is ever questioned, even as the Defence Secretary signs the deal, and he along the DG (Acquisition) ensure the bribes reach concerned quarters before or concurrent to the deal being signed? Why is it that the NSA takes briefings on procurements and equipping directly from Services HQ, while he has taken no steps to define a national security strategy for the country? Third, if the Armed Forces are against indigenization, why would they agree to ‘Make in India’? Is ‘Make in India’ not indigenization, the hallmark of which is transfer of technology (ToT)? Fourth, the IAF has not said no to the Tejas LCA. According to one report the IAF wants to place an order for 83 x Tejas Mk 1 and go for balance requirement with Tejas Mk 2 version. Though Manohar Parrikar, then Defence Minister had compared Tejas Mk 1 in its present state to the F-16, it was no more than a political boast. As per IAF, Tejas is yet to become combat-ready or achieve final operational clearance after being in the making for over three decades. Media reports citing IAF sources say, with its limited range and weapon carrying capacity, the Tejas simply does not give IAF the punch and cost-effectiveness it needs. Tejas, which has just about 50% of the capabilities of an F-16 or Gripen in terms of endurance, payload etc, will have to fly under the protection of other fighters during conflicts. The Mark 1-A version will have 83 planes with 43 upgrades over the base version. On November 7 last year, the Defence Acquisition Council (DAC), approved the procurement of 83 planes of the ‘Mark1-A’ version. The IAF wants an AESA radar, in place of the manually scanned Israeli Elta radar. Besides it wants a ‘self-protection jammer’, fitted with external re-fuelling capability. Fifth, of the Arjun MBT (project sanctioned 43 years ago in 1974), again the Army has not said no. 124 of the Mk 1 tanks have already been inducted into the Army. With a weight of 62 tons, the Arjun Mk 1 cannot cross bridges and culverts in plains and semi-desert sector. The Mk 2, with 89 improvements weighs even more at 67 tons. Moreover, as per media reports these tanks have poor serviceability and cannot shoot straight. Yet, the Army is awaiting the Arjun Mk 2 to clear field trials, much that the DRDO wants the Army to place an order for 118 x Arjun Mk 2 MBTs at a cost of 6,600 crore. But what stops the DRDO to export these heavy tanks to countries that have terrain suited for their deployment? DRDO’s insinuation that Armed Forces are against indigenization is simply to cover its inadequacies. Let them match ‘Make in India (which is also indigenous), emerge winner, and give the best to the Armed Forces of India.